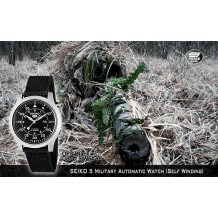 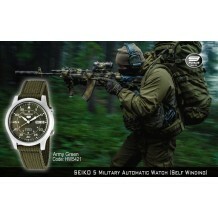 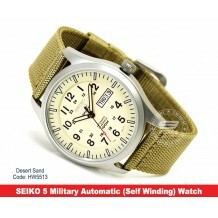 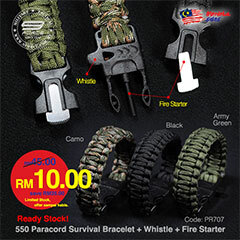 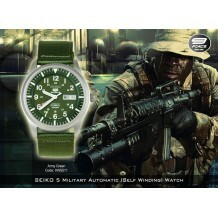 Name: SEIKO 5 Military Automatic Watch OD Green (Self Winding) Code: HW5421 Movement: Automatic (Self-Winding) Caliber 7S26A : 21 Jewels Green dial with green Nylon strap Arabic figures on dial Day & date function Regulated 24hrs scale Water ..
SEIKO 5 Military Style Automatic (Self Winding) Army Green Model: HW5511 Color: Army Green Superb Looking Sports Watch Seiko 23 Jewel Automatic watches have the traditionally built mechanical movements same as some of the best known and most expensive watches in the world. 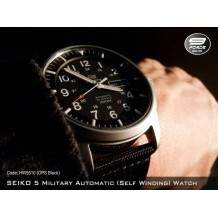 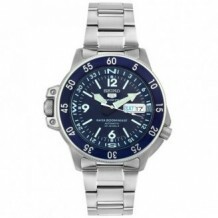 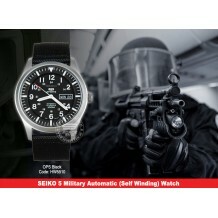 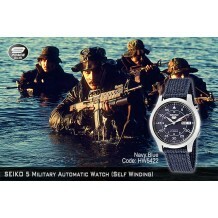 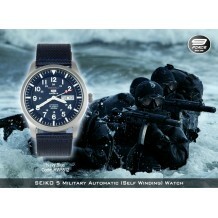 The watc..
SEIKO 5 Military Style Automatic (Self Winding) Navy Blue Model: HW5511 Color: Nay Blue Superb Looking Sports Watch Seiko 23 Jewel Automatic watches have the traditionally built mechanical movements same as some of the best known and most expensive watches in the w..
SEIKO 5 Military Style Automatic (Self Winding) OPS Black Model: HW5510 Color: OPS Black Superb Looking Sports Watch Seiko 23 Jewel Automatic watches have the traditionally built mechanical movements same as some of the best known and most expensive watches in ..
SEIKO 5 Nylon Military Style Automatic (Self Winding) Gents Watch Features: • 100m Water Resistant • Hardlex Crystal Glass • 7S36 Automatic movement • Nylon Band • Date and Day of the Week display appears at the 3 o'clock position ..
Name: SEIKO 5 Military Watch Automatic Navy Blue (Self Winding) Code: HW5422 Movement: Automatic (Self-Winding) Caliber 7S26A : 21 Jewels Arabic figures on dial Day & date function Regulated 24hrs scale Water Resistant Stainless Steel Case Strap ..
Name: SEIKO 5 Military Watch Automatic OPS Black (Self Winding) Code: HW5420 Movement: Automatic (Self-Winding) Caliber 7S26A : 21 Jewels Arabic figures on dial Day & date function Regulated 24hrs scale Water Resistant Stainless Steel Case Strap ..
Name: Seiko 5 Sports Automatic Monster Diver Watch Code: SEIKO010 Features: Orange dial with luminous hands and hour markers Stainless steel case and bracelet Day and date display Water resistant to 200m Scratch resistant Hardlex crystal Precise 24-jewel a..
Name: SEIKO 5 SPORTS MONSTER AUTO BLACK FACE ION GUNMETAL STAINLESS STEEL Code: SEIKO014 Features: • 100m Water Resistant • Hardlex Crystal Glass • 4R36 Automatic movement • Tachymeter • Stainless Steel Band • Fold Over Clasp with Safety Release • Da..
Name: Seiko Automatic Mens Scuba Divers Watch Code: SEIKO009 Features: - Automatic Diver Collection - Automatic Movement - 200 Meters / 656 Feet / 20 ATM Water Resistant - 44mm Case Diameter - Hardlex Crysta ..
Name: Seiko Black Monster Automatic Dive Watch, Stainless Steel Bracelet Code: SEIKO003 Movement: Seiko 21-jewel Automatic (self-winding) Back: Engraved screw-in back Crystal: Hardlex Mineral Band: Stainless steel bracelet, deployant cl..
Name: Seiko Diver's 200M Automatic Men's Watch Code: SEIKO008 Features: Seiko Stargate Diver watch Stainless Steel Case Black Rubber Strap Uni-directional Rotating Bezel Calibre: 7S36 Automatic Movement (23 jewels) Hardlex Crystal Black Dial Lumibrite hands..
Name: Seiko Divers Automatic Black Dial Stainless Steel Mens Watch Code: SEIKO012 Features: Movement: Seiko 24-jewel Automatic (self-winding, hand wind) Case: Brushed stainless steel, 43mm x 14mm thick. 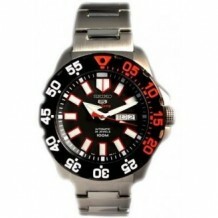 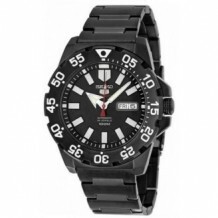 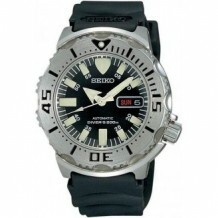 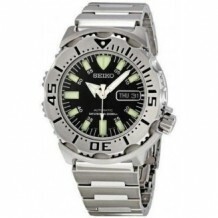 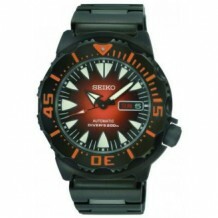 Back: Engraved screw-in back Cry..
Name: Seiko Men's "Black Monster" Automatic Dive Watch Code: SEIKO004 - Hardlex crystal - Quality Japanese Automatic movement; Functions without a battery; Powers automatically with the movement of your arm - Stainless-steel case; Black dial; Day-and-date funct..
Name: Seiko Men's Classic Automatic Divers Watch Code: SEIKO013 Features: Movement: Seiko 24-jewel Automatic (self-winding, hand wind) Case: Brushed stainless steel, 43mm x 14mm thick. 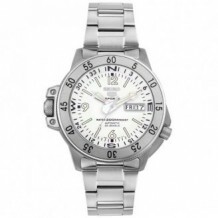 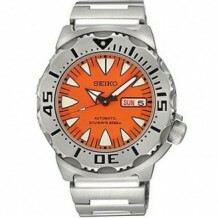 Back: Engraved screw-in back Crystal: Domed H..
Name: Seiko Men's Five Sports Stainless Steel Automatic Watch Code: SEIKO007 - Quality Japanese Automatic movement; Functions without a battery; Powers automatically with the movement of your arm - Hardlex crystal - Case diameter: 45 mm - Stainless-steel..
Name: Seiko Men's Five Sports Stainless Steel Automatic Watch Code: SEIKO007 - Quality Japanese Automatic movement; Functions without a battery; Powers automatically with the movement of your arm - Hardlex crystal - Case diameter: 45 mm - Stainless-steel case..
Name: Seiko Men's Orange Monster Automatic Dive Watch Code: SEIKO005 - Functions without a battery; winds automatically with the movement of your arms - 21-jewels automatic movement - Stainless-steel case; orange dial; day-and-date functions - One way ro..
Name: Seiko Men's SKX009K2 Diver's Automatic Blue Dial Watch Code: SEIKO001 •　Water-resistant to 660 feet (200 M) •　Quality Japanese Automatic movement; Functions without a battery; Powers automatically with the movement of your arm •　Hardlex crystal •　Stainless-steel case;..
Name: Seiko Men's Sport Automatic Monster Diver's Orange Dial WR200M Watch Code: SEIKO011 Features: Movement: Seiko 24-jewel Automatic (self-winding, hand wind, hacking) Case: Black PVD stainless steel, 43mm x 14mm thick. 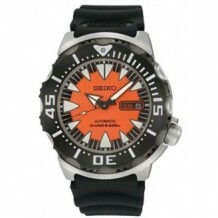 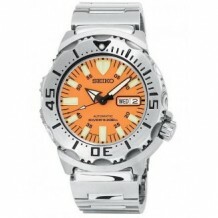 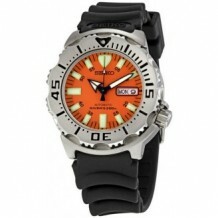 Back: Engraved scre..
Name: Seiko Orange 'Monster' Automatic Dive Watch with Rubber Dive Strap Code: SEIKO006 - Movement: Seiko 21-jewel Automatic (self-winding) - Back: Engraved screw-in back - Case: Brushed stainless steel, 43mm x 14mm thick. 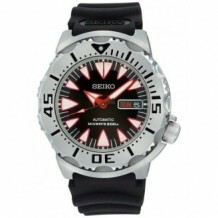 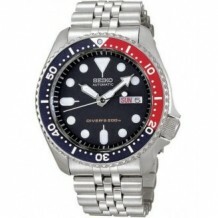 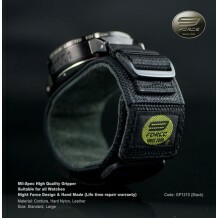 - Band:&nb..
Name: Seiko Sports 5 Monster Black and Red Face Stainless Steel Bracelet Code: SEIKO015 Features: • 100m Water Resistant • Hardlex Crystal Glass • 4R36 Automatic movement • Tachymeter • Stainless Steel Band • Fold Over Clasp with Safety Release • Dat..